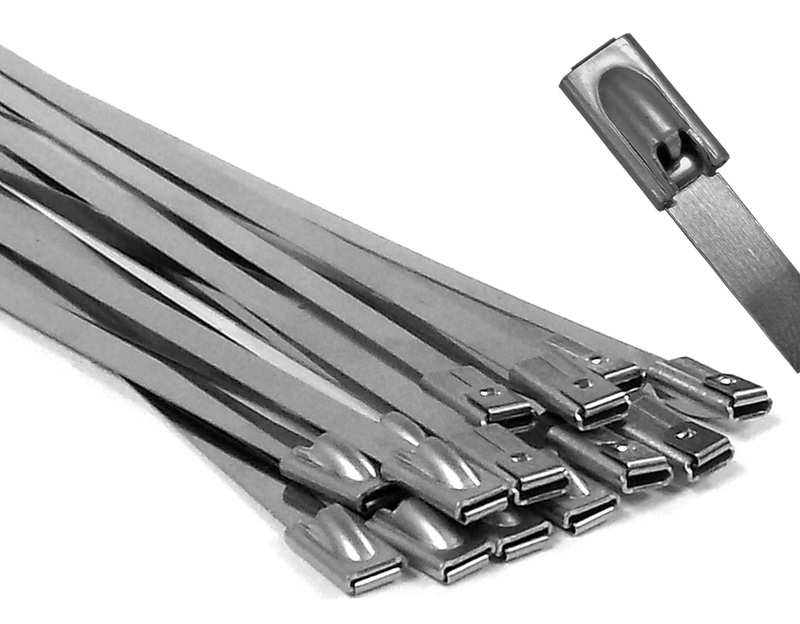 Stainless Steel Cable Ties are perfect for environments not suited for standard nylon zip ties. These metal fasteners work on applications that include high heat, extreme weather and vibration to secure wires, cables and hoses. Durable method for bundling, organizing and fastening cables in wires in outdoor, indoor and underground applications. Made from 304 stainless steel material and using a rolling ball self locking mechanism offers a smooth installation while still having a 176 lbs tensile strength. 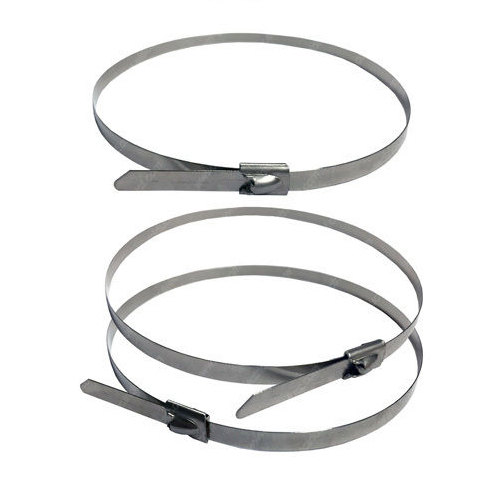 Grade 304 stainless steel ties offer excellent corrosion resistance and strength, is readily formed, can be readily welded and minimizes chromium carbide precipitation. 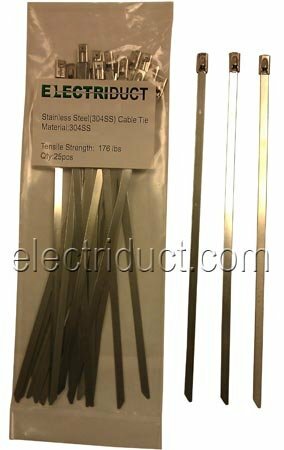 With a technical standard of ASTM (American Society for Testing and Materials) A276, these cable ties are built to last! Available in 7 different lengths. Please click the "Specifications" tab for additional dimensions. These SS cable ties were a perfect match for retaining the SS braided sleeving used to protect wire leads on our newly designed submersible pump. Excellent appearance, very flat closure mechanism, super strong, and impervious to rust or corrosion. Great product. Needed cable tie functionality, but the plastic and nylon cable ties are not strong enough, nor can they take much heat. The Electriduct 304 Stainless Steel Cable Ties solved my problem!